more relaxed and focused than I had in ages, convinced the essential oils my therapist used contributed to that Zen calm fabulousness. That was a few years ago. As essential oils became mainstream, I've learned what a fabulous add-on to your supplement regimen that promotes relaxation and much more. Call me a little bit closed-minded, but I subsequently discovered a plethora of research supporting how essential oils contribute to a wide range of uses and applications. Keep in mind these studies use pure essential oils, entirely different from synthetic scents. They are highly concentrated oils produced by distilling a large amount of plant material into a small amount of volatile oil. Especially as an athlete, I became curious about how essential oils can benefit your game in and out of the gym. Scouring PubMed, I found these seven science-based benefits. 1. Clear skin. Whether you want to clear acne, get rid of dandruff, or remove that pesky plantar wart, tea tree essential oil can help. Tea tree oil is easy to use and applies directly onto your skin. You might also want to add a few drops to your cleaning solution since it carries demonstrated strong antimicrobial properties. 2. Weight management. Especially with the upcoming holiday gorge-fest, we need all the help we can here, right? Aromatherapy could help reduce hunger. Preliminary research suggests the scent of lime essential oil may increase satiety and help control weight gain (at least in mice). To give it a try, add some lime essential oil to a diffuser in your home or office and watch those peppermint-bark brownies become a little less tempting. 3. Boost your mood. Feeling cranky after your early morning workout? The fragrance of essential oils like lavender, bergamot, lemon, and sweet orange can help relieve stress and anxiety. These scents stimulate production of mood-stabilizing neurotransmitters like serotonin and dopamine. 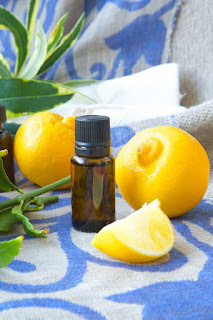 These oils can be used in a room diffuser or added to carrier oil and dabbed on your skin. 4. Sleep soundly. I've written exhaustively about sleep's benefits and effective ways to correct the worst sleep problems. Studies show the aroma of some essential oils can improve mild to moderate sleep disturbances. Lavender is the most-studied essential oil for sleep, but rose damascene may also be helpful. To make your own by pillow spray, combine essential oils like lavender, rosewater, and witch hazel. 5. Fight fatigue. Feeling tired or burnt out? Instead of guzzling a gargantuan sugar-caffeine bomb, try a mist of essential oil. A combination of peppermint, basil, and helichrysum can help reduce fatigue and stress. 6. Reduce pain and inflammation. Sore from your killer 7 a.m. workout? Essential oils can reduce pain and inflammation. Marjoram, black pepper, peppermint, lavender, and neroli have all demonstrated anti-inflammatory and analgesic effects. Make massage oil by adding a few drops to anti-inflammatory sesame oil or create a relaxing bath and put a few drops directly into the water. 7. Enhance adrenal function: Aromatherapy can help optimize adrenaline production. If you need a boost before a workout or presentation, try pepper, estragon, fennel, or grapefruit oils. When purchasing essential oils, be sure to purchase high quality 100 percent pure essential oils that do not contain added “fragrances.” If you want to apply an essential oil topically, remember most should be added to carrier oil and not applied to the skin directly. Most importantly, choose aromas you enjoy and they can become a luxurious, relaxing part of your daily routine. If you’ve ever used essential oils, what benefits did you derive from them? Were you initially as skeptical as I initially was? Share your thoughts below or on my Facebook page. Wow Jini... I was thrilled to see this about essential oils. I've been a believer and user for quite some time. I use a "Breathe" blend for my grandson when he's sleeping... he was having trouble and I could hear it when he was asleep. I've noticed after a couple weeks his lungs sound great!!! I use a diffuser that is timed throughout the night, and put a few drops on the soles of his feet when he's bad.